A quick couple of updates this month. 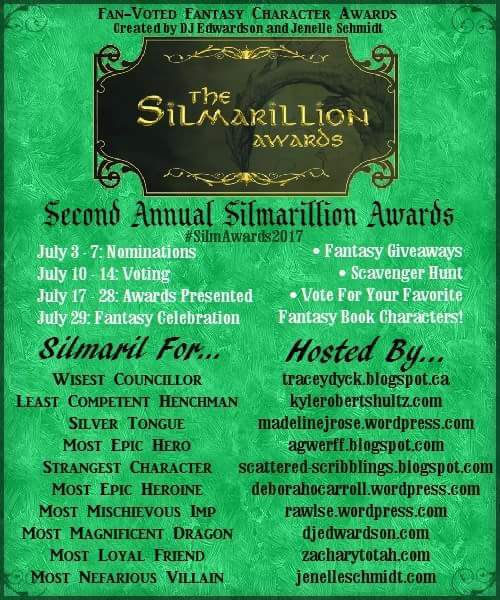 Firstly, all week, nominate your favourite fantasy characters in the Silmarilion Awards! Check out the graphic below for details of the blogs you can visit to vote. And if you view Abbey Stellingwerff’s blog, you can have the chance to enter a giveaway for a paperback copy of Where Carpets Fly! Do check out the awards if you have a few minutes spare – there are fun giveaways on many of the blogs involved. 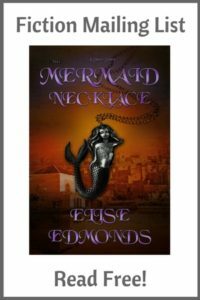 In other news, I finally published The Mermaid Necklace, the short story that follows Where Carpets Fly. To get a copy, just sign up for my newsletter using the link in the sidebar!